In addition to the great speakers at the Wise Traditions Conference, the halls of the Santa Clara Convention Center were packed with exhibitors from companies and organizations that represented Weston A. Price principles. 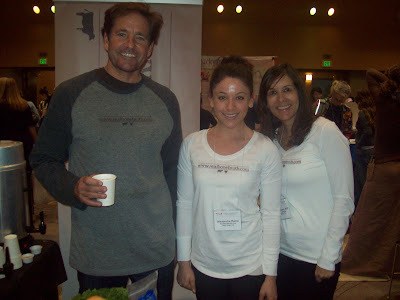 Many of the exhibitors were businesses that sold nutrient dense foods. 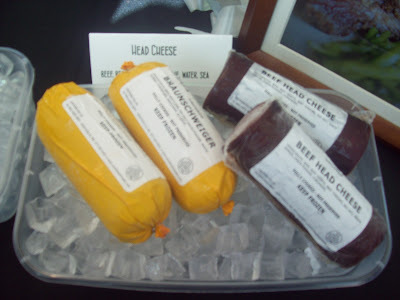 The WAPF had strict guidelines for what types of food could be exhibited at the conference, so there was no greenwashing and every food vendor lived up to the WAPF standards. There were all types of edibles being presented. With this being The Appropriate Omnivore and the Weston A. Price Foundation, I can’t think of any better way to start things off than with booths offering meat, fish, and dairy products. U.S. Wellness Meats is one of the most successful national suppliers of grass fed beef. They have a great variety of meats, as well as dairy and seafood, available for order online and in some supermarkets and restaurants. 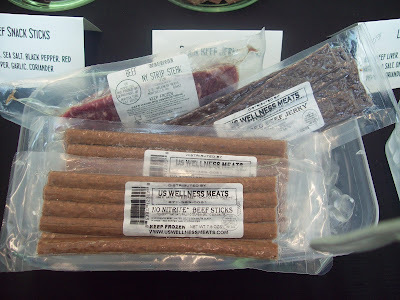 Founding member John Wood and his team were at the booth to give attendees samples of their products, such as the beef jerky and the braunschweiger, and allow conference attendees to purchase some to take home. 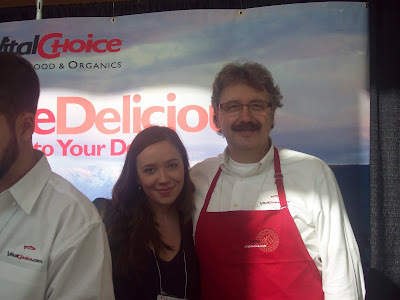 Vital Choice is another successful online retailer of sustainable food. They specialize in several varieties of wild caught seafood. Social media specialist R. Warren Hartnell (left) and founder & president Randy Hartnell (right) were at the booth handing samples of their food, including their excellent tasting salmon burgers. They also provided their smoked salmon for the Sunday brunch. Being of a Jewish culture, lox is a staple of my Sunday breakfast and it’s wonderful for the salmon to be truly wild caught. What would a Weston A. Price event be without Organic Pastures? Founder Mark McAfee was the first speaker that I interviewed on my Internet radio show for my conference series. I appreciated getting the opportunity to meet up with him in person. 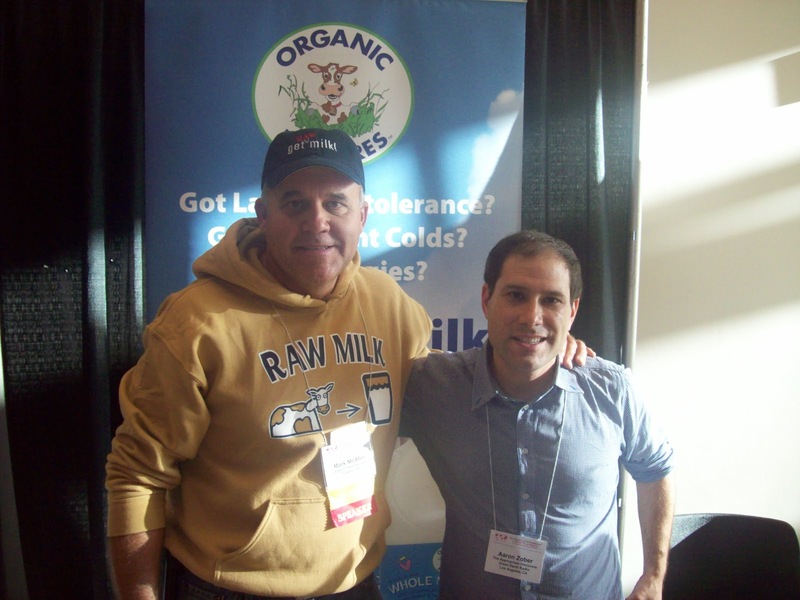 His farm sets high standards for any dairy farm and Mark is the best person to hear from about why your body needs raw milk. He also offers other great tasting nutrient dense foods, such as grass fed beef, pastured eggs and raw almonds. 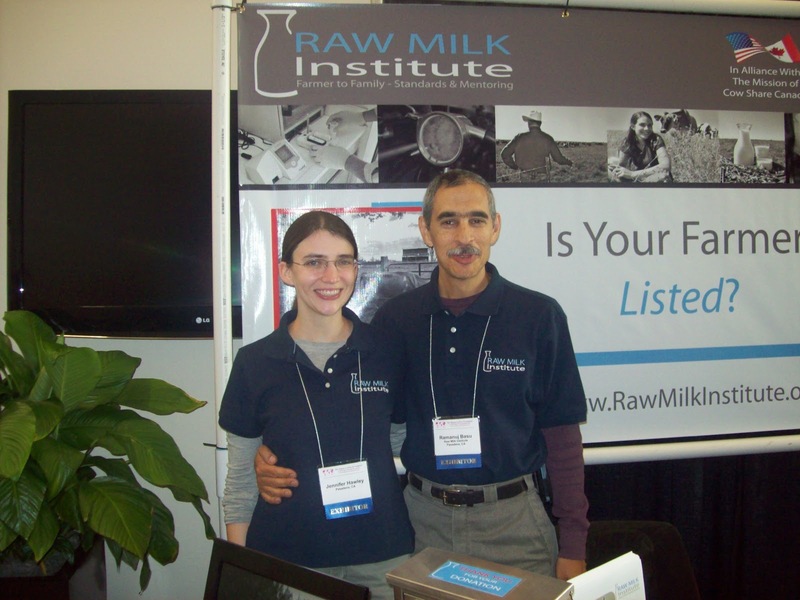 Mark McAfee is also chairmen of the Raw Milk Institute, an organization dedicated to outreach for both the dairy industry and the consumers about the safety and health benefits of raw milk. My colleagues from the Weston A. Price Pasadena Chapter, Jennifer Hawley and her husband Ramanuj Basu, are also involved with RAWMI. Ramanju serves on the board of directors for the Raw Milk Institute. Bone broths are a nourishing food that can cure many ailments. Drinking a glass of broth is also a great way to kick off your morning. Bone broths can be made at home, but that can also be a time consuming process as you need to let the broth cook for at least 12 hours. For people on the go, there’s another option. The company Real Bone Broth allows you to order preservative-free chicken and beef broth from the Internet. Hi Aaron, Thanks for stopping by the Vital Choice booth and for mentioning us in your blog. 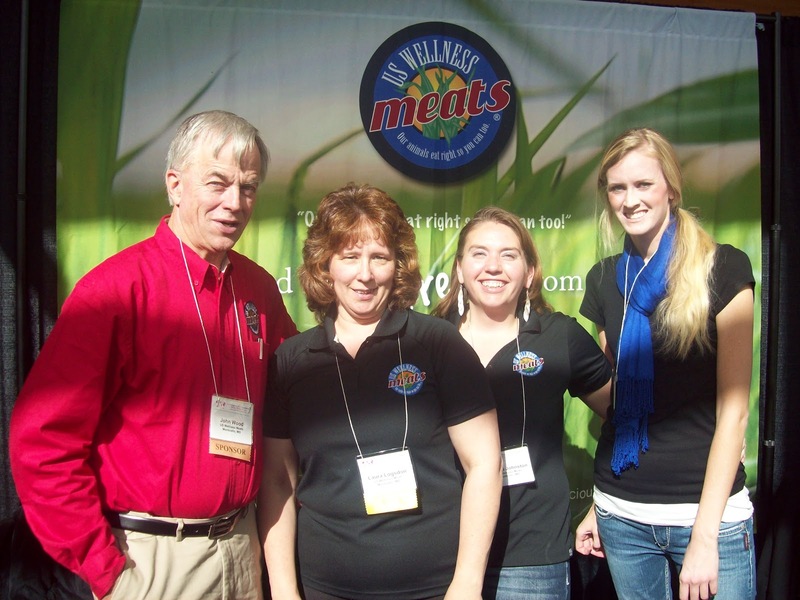 This was our tenth year attending the WAPF conference, and we never cease to be impressed by the attendees’ enthusiasm. It’s always a joy visiting with people who appreciate “real food” like ours, as well as the many hidden costs of cheap, industrialized alternatives. Glad to hear you enjoyed our sockeye salmon lox!